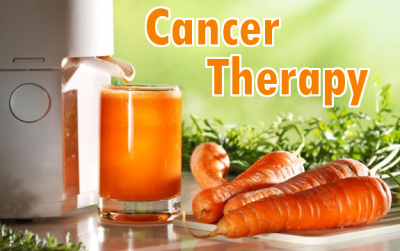 Ann Cameron, an author of 15 children’s books, ‘cured’ her Stage 4 cancer with carrot juice only. She states, “I believe from personal experience that carrots can cure cancer – and rapidly, without chemotherapy, radiation, or other dietary changes.” Stories of unusual natural cancer treatments are quite astounding. I trust them more than I do all the bogus pharmaceutical testing that enables Big Pharma to rush toxic drugs that make billions and cause more harm than good. On June 6, 2012, Ann had surgery for Stage 3 colon cancer. She had decided against chemotherapy and actually started feeling better, until about November 6, 2012. A routine follow-up CT scan indicated lung cancer. She was diagnosed with Stage 4 colon cancer which had metastasized to the lungs. Her doctor predicted a two to three year life expectancy. She was advised that radiation would be useless, and chemotherapy was recommended, but it wouldn’t extend her life. But Ann decided to embark on an intensive research campaign to find an alternative protocol that would heal her. Ann came across a man who had treated his cancer with nothing but carrots. His name was Ralph Cole, and he had treated his squamous cell neck cancer by drinking 5 pounds of carrot juice daily. Ralph shared his ‘carrot curing protocol’ freely with anyone who would listen. Here’s his blog. He warned that he had tried three pounds daily without success, but the five pounds per day did the trick. He has been cancer free for seven years now and he now only juices occasionally. On November 17, 2012, Ann began a daily regimen of 5 pounds of juiced carrots, which produced one quart to a quart and one-third. Ann juiced in the morning, drank a glass and then refrigerated the rest, which she finished off throughout the day. Ann faithfully continued juicing five pounds of carrots daily, but there was an occasional non-juice day thrown in, just as Ralph Cole did. 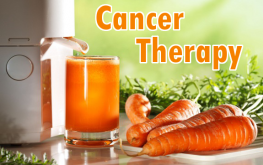 Ann had no chemo, no radiation and no other dietary modifications except the added carrot juice. She continued eating some meat and sometimes indulged in various unhealthy foods, including ice cream. By July 30, 2013, CT scanning showed the cancer was gone! All swollen cancerous lymph nodes had returned to normal after eight months of daily heavy carrot juicing, with an occasional day or two off. And soon after not drinking so much carrot juice, Ann’s skin color returned to normal from it’s slightly orange tint. Falcarinol is an antioxidant found in carrots that has proven anticancer properties. Researchers in the UK and Denmark reduced cancerous tumors by 1/3 in mice and rats with lab induced cancers. Another human study found that consumption of carrot juice increased blood levels of carotenoids in breast cancer survivors. The researchers believe that increased carotenoid blood levels acts as a cancer preventive. According to Dr. Max Gerson, whose fresh organic carrots with apple juice is a large part of the famous Gerson Therapy, carrot juice is molecularly almost identical to human blood. Interesting, eh? Maybe cancer isn’t as scary as the medical profit industry wants us to believe!